ILoveCarbonDioxide.com was founded in January 2009. Welcome to the CO2 lovers site! Based out of Vancouver, British Columbia, the purpose of this site is to enlighten as many people as possible on climate issues and correct a common misconception held by a large percentage of the population: the myth that Carbon Dioxide (CO2) is a pollutant. 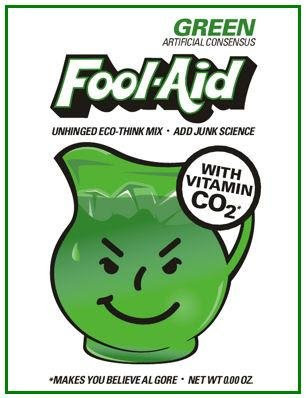 The truth of the matter is there is no justification for demonizing CO2. It is certainly not a pollutant. “I think one of the most pernicious aspects of the modern environmental movement is this romanticisation of peasant life; and the idea that industrial societies are the destroyers of the world. The environmental movement has evolved into the strongest force there is for preventing development in the developing countries. I think it’s legitimate for me to call them anti-human” – Patrick Moore, Co-Founder of GREENPEACE. > IMPORTANT! Help get the truth into our cinemas! I am not a scientist, But it is a well known and documented fact the the exchange of CO2 gases and plant life is well established. This exchange of the plants taking in CO2 and putting out Oxygen has bee happenening throught all of thhe time the earth has exhisted and nothing will change that fact, nothing is supposed to change that fact plants need CO2 to live so with that being said human as well as animal life also need CO2 to live because of our dependency upon oxygen put out by the plant life. No amount of dollars collected not taxes collected will change or alter this fact. I also believe that this carbon tax is a farce and should be halted dead in its tracks by general public as well as the MSM for the whole world to see. Unfortunately sinse Al Gore and the environmental extremeists the so called terrorists working against "Global Worming" are hard at work creating this hyped up myth and have the MSM bought and paid for in their pockets, nothing of the truth will appear in the MSM newspapers or television newscasts exposing this falsly defined farce. Thank you for taking a stand for the truth. The myth of man-made global warming has gotten completely out of hand and has contributed to the totally insane rush to unproven and unreliable alternative fueled vheicles. This movement has caused the US to turn away from utilizing our own natural resources until reliable, economic and sustainable alternative fuel sources can be prefected. As with any fanitical movement, it is not the climate change prevention that these people want but the control of our lives. When individuals cannot and will not face the facts and resort to name calling and statements like "everybody knows" or "it is a proven fact that…" without documentation to support their claims the red flags should be waving. JUST FOUND YOUR SITE AND IT IS Shoot caps, sorry, am not retyping it. What is your email mine is peter@lease2u.co.uk It is about time we had the other side of the story. http://www.lease2u.co.uk is my site, I will link to you, just contact me via email. BRILLIANT, BUT WHERE IS YOUR CONTACT PAGE? Excellent website and valuable information. Thanks for taking the time to speak out against the horrid policies the greens and politicians are trying to enact on all of us. BTW–loved the video of Algore getting shown for what he really is by the republican members of congress. LOVE IT!!!!!!!!! Isn't common sense great? ^ We're doing very very well actually! Nearly 40,000 unique visitors and over half a million page views in just a few months online! I LOVE your site and will read it all eventually! Thank you for a very intelligent and well-designed alternative to the Mental Matrix we have been offered by the Sheep! I love CO2 also! It makes the world green and makes life possible. CO2 is no more a pollutant than nitrogen or oxygen. I also like cotton candy, but If burning oil put cotton candy into the air we would have to be careful about how much oil we burned so we could continue to breathe. The debate is not as simple as Al Gore or the creators of this site make it. Stop "rooting for you team" long enough to think about the issues. CO2 is not a pollutant AND it isn't ok to use energy derived from fossil fuels forever if we want to survive as a species. Great site. If I had known about it several months ago, I probably wouldn't have created freethedinosaurs.org. Considering the huge, actual, problems of the world, it is a tragedy the resources being expended on this debate (let alone the policies already enacted). This is all about enriching the green lobby, which everyone knows is solid democrat, and forcing a way of life on people. First off, the green lobby, which include environmentalists, have a vested interest in convincing everyone that we have to endanger the human race to save everything else. I find it interesting that the co-founder of Greenpeace, Patrick Moore, said that most of the positions of the said organization was an elaborate hoax. One of their notable woppers was the Amazon Rainforest destruction. Then you get the young know-it-all idealists who believe this non-sense and regurgitate it as fact. No big surprise that Universities are repositories of these idealists who then become scientists that persue outcome based science. Numerous so called environmental facts, like the hockey stick projection, have been proven false because of fraudulent researchers. We have a quickly growing Yahoo Group (CO2 is Plant Food), and a petition (NOC-NOW) that simply spells out a Declaration of Climate Independence. The petition will be provided to the US Congress, the White House, the UN, the IPCC, the EU Commission, and other representative bodies involved in "Climate Change" policy deliberations. We can stop this scam. I completly agree with your meaning abouzt Co2, its importance and goodnes for all plants (also mankind), but I don´t understand what you have against green power (wind, solar power for instance). Of course I agree the Co2 from burning coal is good, but you yourself describe the influence very marginal (95% from the oceans, I read quite big inflence also from the vulcan eruptions). So, please mix it: Co2 is good and (I don´t think it is) burning coal and oil is very fine, it isn´t because it demoilshed the nature (open surface coal mining) and emits many toxid heavy metals and pretty worse like the Al Gore /IPCC – internationl people climate cheating – conextions, it has to much influence (as big industrty, monopoly levels), so I think burning wood at home is very good, but please think about big coal plants, they are pretty bad (except CO2 emissions is fine, but see above – not important).